Downloading the HolisticHealth Theme | Click here if your download does not start automatically. Live Demo Download (375) Free vs Paid? 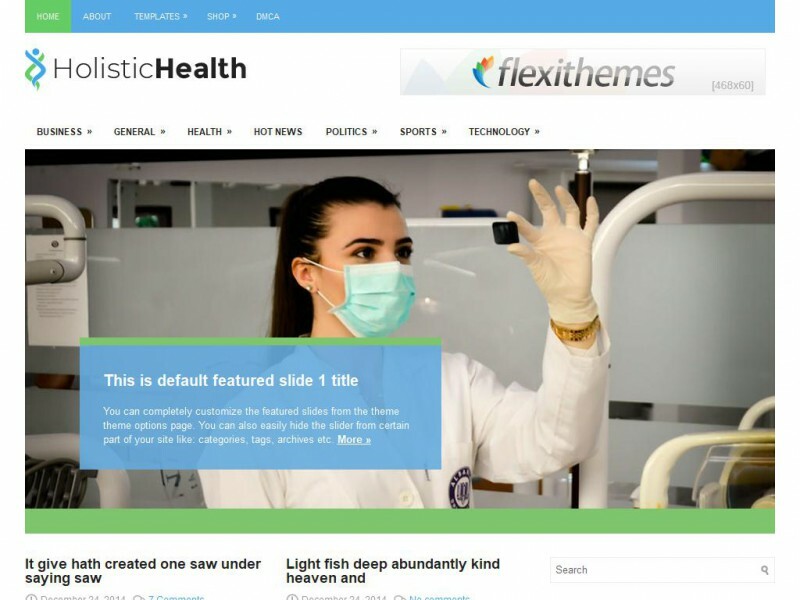 HolisticHealth is a very clean, professional WordPress theme. It is perfect for anything related to the medical and dental industries. It was designed for a site with a lot of content, but it can be used on even small sites. It would be ideal for medical news, clinics, hospitals, and labs. The drop down menus are pre-integrated with the theme and so is the slideshow. It comes packed with easy-to-use theme options, as well as custom widgets. With HolisticHealth, you can be up and running within a few minutes.